Louisville, KY (April 15, 2019) – Morse Watchmans, the world leader in key control and asset management systems, is displaying its KeyWatcher Fleet this week at NAFA’s Annual Institute and Expo (booth #640). 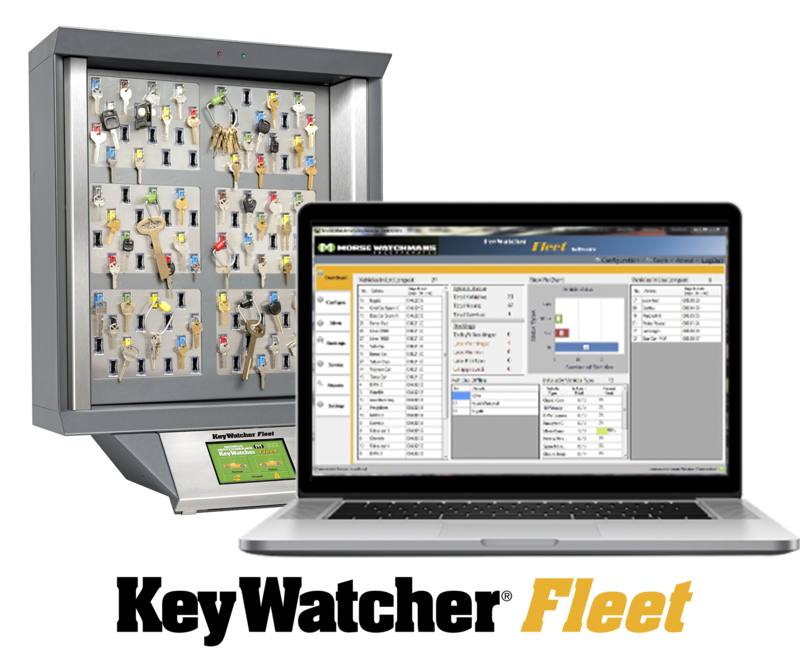 KeyWatcher Fleet is the industry’s only key control system that provides fleet managers full command of vehicle distribution, comprehensive utilization, right-sizing of the fleet, and much more. Leveraging Morse Watchmans’ proven KeyWatcher Touch hardware, KeyWatcher Fleet allows fleet managers to generate quick and customizable reports to gain actionable insight on fleet utilization and operations. A dashboard displays vehicle use, bookings, status, and more. With KeyWatcher Fleet, users can create user role-based “Pools”, or groups of vehicles, to automatically assign each vehicle accordingly. Flexible booking workflows enable customization to balance usage, ensure vehicle availability and more. A range of service features enables users to report problems and administrators can automatically initiate new or scheduled work on each vehicle. Morse Watchmans Smarts™ lets administrators create policies to enable automatic vehicle allocation. Vehicles can be assigned by lowest mileage, most fuel, priority and more. Drivers can be notified automatically via email or text if a specific vehicle is not available, and unique pin codes or optional card or fingerprint readers provide strong key/vehicle management. KeyWatcher Fleet is also networkable and offers API support for integrations. For more information, visit booth 640 at the NAFA 2019 Annual Institute and Expo, or email Erik@morsewatchman.com or call (800) 423-8256.